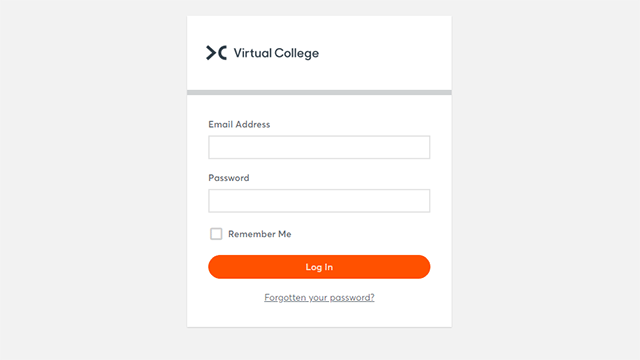 Begin your training and get certified today with the latest voucher codes and weekly exclusive deals at Virtual College. From beginner to advanced e-learning courses available, you can receive discounted offers on our online training solutions for both individual and corporate business purchase. *Terms and Conditions apply. Aimed at anyone working in catering or hospitality, whether employed or self-employed, working in restaurants, hotels, fast food outlets, takeaways, cafes, bars, kitchens, catering in hospitals, schools and colleges. It allows every catering business, regardless of size, to provide all staff with first class training at a fraction of the cost and disruption of classroom based training. 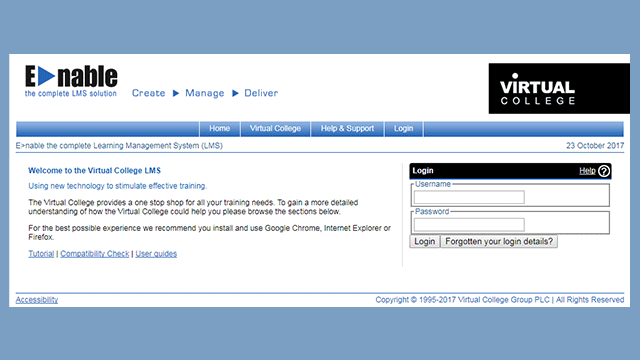 Level 3 Supervising Food Safety training from Virtual College enables candidates to identify problems and to recommend solutions within food preparation and delivery areas. It is ideally suited to people who are responsible for supervising other members of staff, such as team leaders and managers across all sectors including manufacturing, catering and retail. This Food Allergy Awareness Training course is designed to help learners identify the fourteen particular food allergens which must, by law, be recognised and to understand why foods containing allergens must be handled carefully. Our Level 2 Food Safety & Hygiene Certificate for Catering subscription covers a comprehensive level of training for anyone who handles or prepares food, satisfying the legal obligation for food safety knowledge within this area. Our Level 3 Food Safety and Hygiene Certificate subscription provides a comprehensive level of training for anyone who supervises the preparation of food within the workplace, covering off all the knowledge needed to fulfil the legal obligations surrounding food safety knowledge. We have packaged together some of our popular courses to create the following training bundles at a discounted price. This training bundle is made up of two popular food safety courses, Food Allergy Awareness and Level 2 Food Safety and Hygiene for Catering. The training is suitable for anyone working in a food handling role. We’ve packaged together two of our most popular online courses, Health and Safety at Work and Fire Safety, to create the perfect induction for new employees, or those needing refresher training. The Essentials of GDPR and the Cyber Security Awareness course bundle offers two courses which will give learners the skills and knowledge to be safe online and what new regulations will affect them surrounding storing and handling data. Both these courses cover topics which are becoming much more important issues for all businesses. Staff working in a healthcare environment need to ensure that they undertake statutory training to ensure they are able to do their job safely. Our Clinical and Non-Clinical Bundles are suitable for anyone working in a healthcare role. These courses have been mapped to Skills for Health’s Core Skills Training Framework. As a result, they meet National Occupational Standards, GMC/NMC Standards, CQC – Essential Standards of Quality & Safety and NHS Litigation Authority Standards. We provide a range of online adults and children safeguarding courses covering all areas of best practice, guidance and legislation. This course covers the legal requirement relevant to anybody involved in the recruitment of people who work with children, young people or vulnerable adults. If you work with children or adults it is important that you ensure the safety of anyone you come across during the course of your work. this online training course will give you the knowledge to ensure you can help safeguard children and adults in your position. We are always discounting products across our site. Below are the current discount codes currently available for our customers, but keep checking your emails! When you are on the basket page, simply click the ‘I HAVE A DISCOUNT CODE’ wording under your product. You can then enter your discount code in the box and then click ‘APPLY’. Simply complete the purchase and receive your courses at the discounted price. Check your emails every week to see what weekly discounts we will be offering. Be the first to hear about our latest voucher codes.